This type of window is constructed with a fixed glass unit in the center (facilitates an unobstructed view) and two end vent sashes that can tilt inwards. Indoor ventilation is flexible to suit the need, by using one or both of the end vent operational sashes. Cleaning the exterior side of the windowpane is made easy. 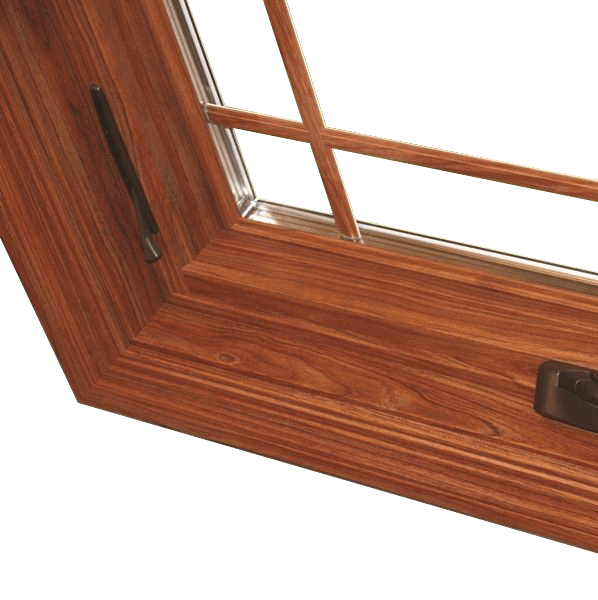 In physical settings where a bay or bow window can’t be used because of available space, the end vent vinyl window is ideal. It provides an expansive viewing area, while the outer sashes provide the venting. For a variety of design options, end vent vinyl windows are available in splits of 1/3 or 1/4, or in a combination to suit a more specific need. All are Energy Star® certified for energy efficiency.